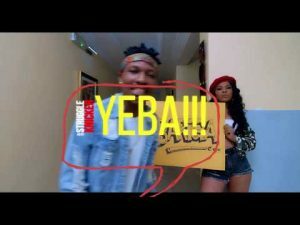 I LOVE THE SONG YEBA BY EFE AND I PRAY THAT GOD WHO MAKES HIS DREAM COME TRUE WILL GIVE HIM MORE HIT IN JESUS NAME AMEN. I THANK HIS FRIEND DUCTOR SET BY HIS HELP THROUGH PROD OF HIS SONG ALSO FOLLOW HIM TO SHOW HE IS A GOOD FRIEND INDID BECAUSE IT IS NOT EASY TO STOOD BY SOMEONE HE BLOW LAST YEAR IN BIG BROTHER LAST YEAR 2017. EFE IS AN ARTISE OF FAITH GOD FEARING THAT IS WHY GOD ANSWER IS PRAYER .